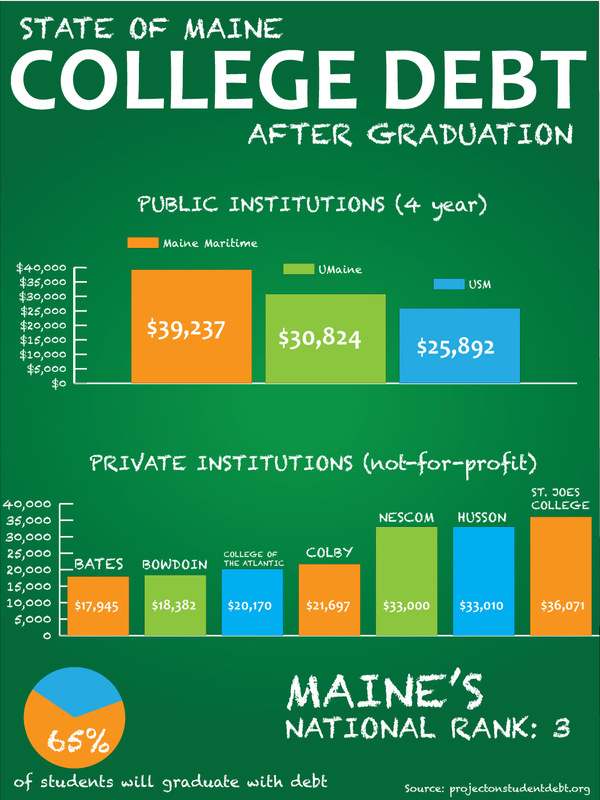 According to the Project on Student Debt, Maine graduates rank third in the nation for student debt. As a current college student, I find this data alarming, yet with the median household income in 2009 at $45,708 (the national average is $50,221), why should do I find this surprising? I am a huge fan of infographics, so I decided to create one based on the data I found. NOTE: Some schools are not included due to the lack of data provided to the Project on Student Debt.